SW-PBIS is a multi tiered system of support that provides increasingly intense interventions to students who demonstrate behavioral concerns. The purpose of the multi-tiered model is to provide support for student’s when they begin to demonstrate a concern rather than waiting for them to demonstrate a significant need to qualify for additional services. If we can meet the needs of students sooner, and thereby prevent them from developing intensive, individualized needs, we can reserve our resources within the building. 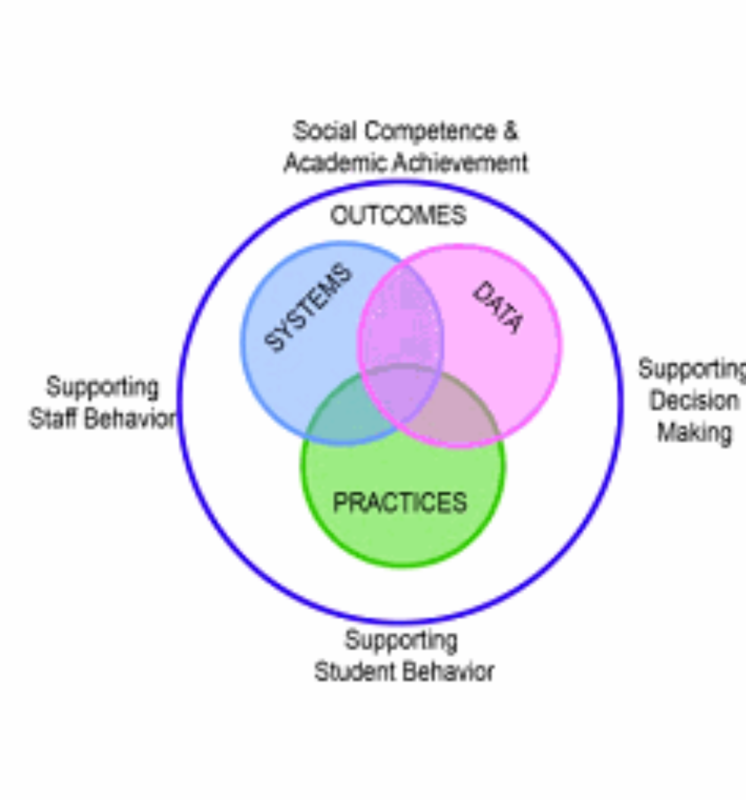 So what does SW-PBIS look like? Think of the Tier 1 system as your core curriculum that should meet the academic and behavioral needs of approximately 80-95% of the students. We know that there will be approximately 5% - 20% students who do not respond to the Tier 1 systems of support. These students would be identified to receive Tier 2 interventions. These interventions may include a behavior contract or small group instruction with a narrow focus on a specific skill or group of skills. At this level, students would be monitored and assessed more frequently to ensure that the Tier 2 intervention is meeting their needs. Tier 2 is designed to be fluid with students entering and exiting the intervention regularly as opposed to remaining for a prolonged period of time. Students who do not demonstrate progress with the Tier 2 interventions (approximately 1 – 5% of students) would then be referred for Tier 3 interventions which include individualized behavior supports. This may include an individualized behavior support plan along with individualized instruction in the specific areas of need. We know that academic and behavioral concerns are closely linked. For example, when students exhibit struggles with reading skills, they are very likely to demonstrate behavioral difficulties as well. Therefore, when students receive effective academic instruction and effective behavior management, they are most likely to succeed. As such, these SW-PBIS and Response to Intervention (RTI) tend to converge after they are established to create a comprehensive Response To Intervention (RTI) program. In Lewiston, we believe that all students have the right to attend a safe and secure school. As such, we work hard to ensure that all of the students we support have an equal opportunity to learn. 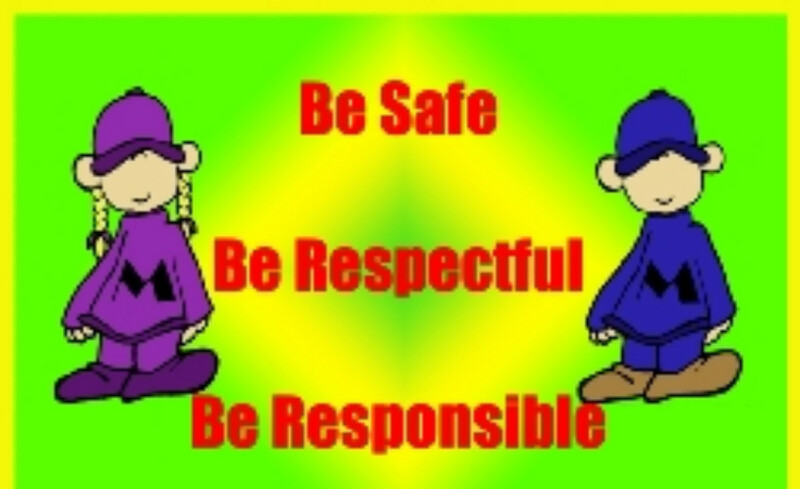 Our schools have worked together to teach all of our students to be safe, responsible and respectful. This is to maximize the opportunity that our students can enter into environments that are conducive to learning. Bullying, and the various forms it can take, can be detrimental to our students and learning environments. It is our mission to proactively address issues before they become problems and to establish effective procedures for how to address them effectively. We have taken many approaches to how we want to address this with our students. Below is a list of programs, frameworks, and interventions that we have implement in an effort to prevent bullying from occurring in our schools. · Established common behavioral expectations across all schools K – 12: Be safe, responsible, and respectful. · Teach the students what these expectations look like/sound like in all areas of the building. · Acknowledge/provide feedback to students when they engage in the appropriate behaviors. · Teach a three step response to students who feel as though they have been disrespected: Stop, walk and talk.